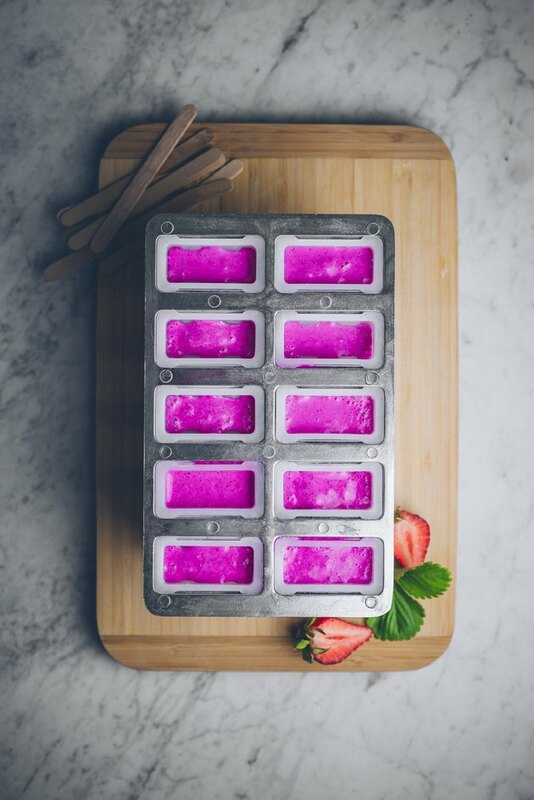 These eye-catching dragon fruit popsicles are not only fun to look at—they're also fun to eat! 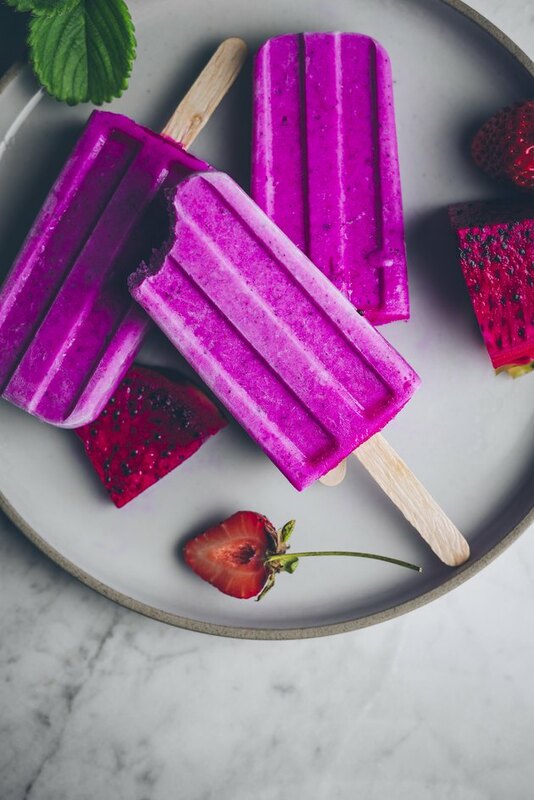 The pink-hued flesh of the dragon fruit used to be hard to find, but now that pre-cubed frozen packs are more commonly available, everyone's pink popsicle dreams are possible. These popsicles are as easy as it gets: just blend, freeze, and enjoy. 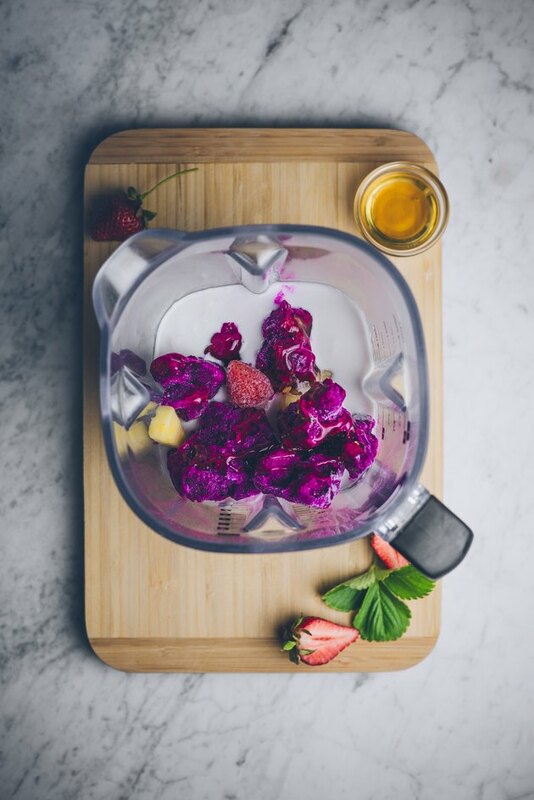 Place all of the ingredients in the order listed in the container and blend until smooth. 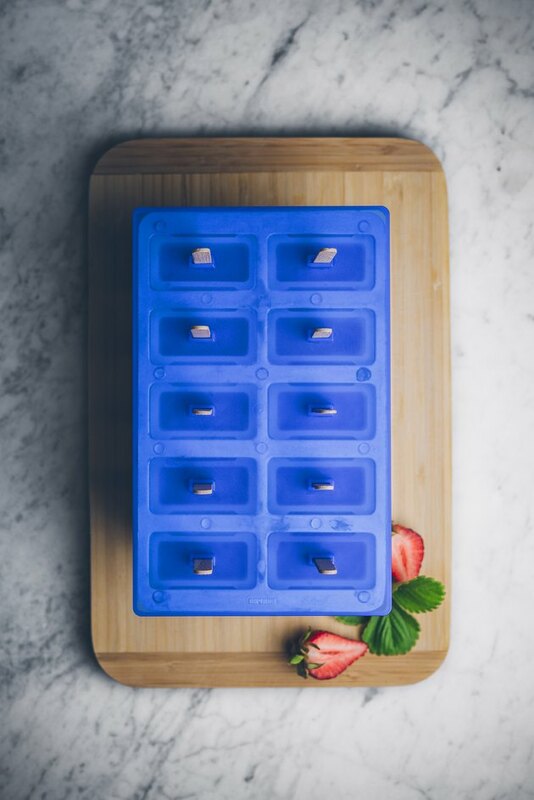 Carefully fill each popsicle mold, leaving about ¼ of an inch of space at the top of each mold. Cover the popsicle mold with the lid and insert a popsicle stick into each mold. Place the popsicle tray in the freezer for 3-4 hours, or until frozen. Remove the popsicles from the mold and enjoy! Run the popsicle mold under a bit of warm water. This will help loosen up the popsicles a bit, making it much easier to take them out of the mold.